Have you ever stood in a stunning Cornish Valley and watched an amazing firework display, where the sounds of which reverberate around the valley walls, as the sky above is transformed with showers of rainbows? Have you ever danced in your wellies? Have you stood eating burgers & sausages in buns so scrumptiously BBQ’d by scouts that every bite is a gourmet’s treat? If you have then do come again but if not! Why haven’t you? 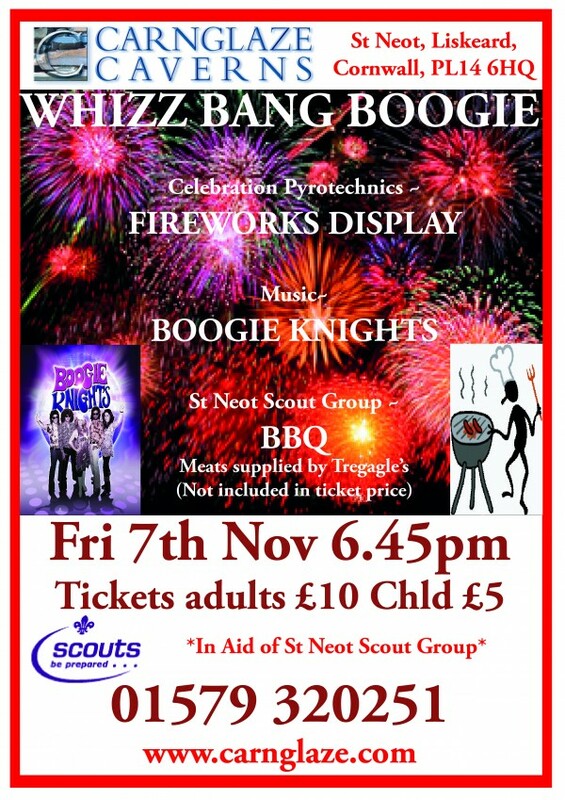 This will be the 13th year we’ve been doing this to raise money for the local scouts! 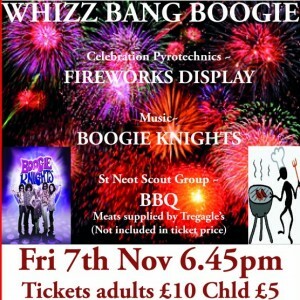 The music will be performed by Boggie Knights who will provide a variety of styles; eras; tempos and beat to enable you to dance the night away.